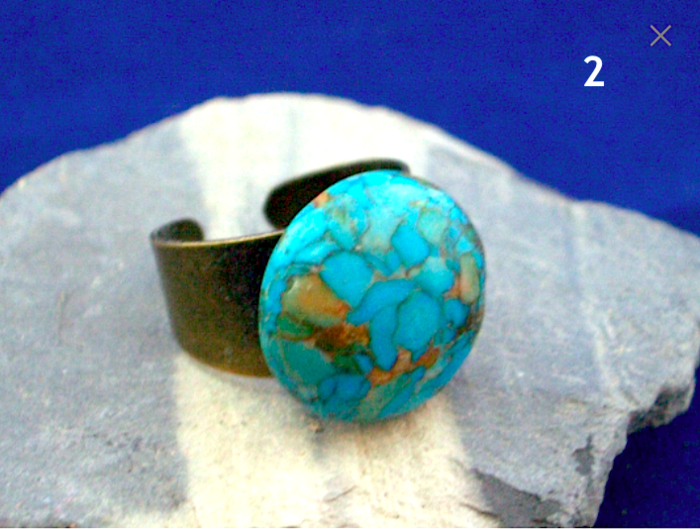 Brisbee Copper Turquoise round Cabochon, Copper 1 Ring, Adjustable Size. 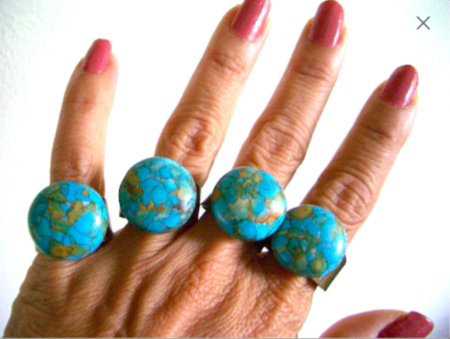 Original, Stylish, Super Affordable (OSSA!!!) 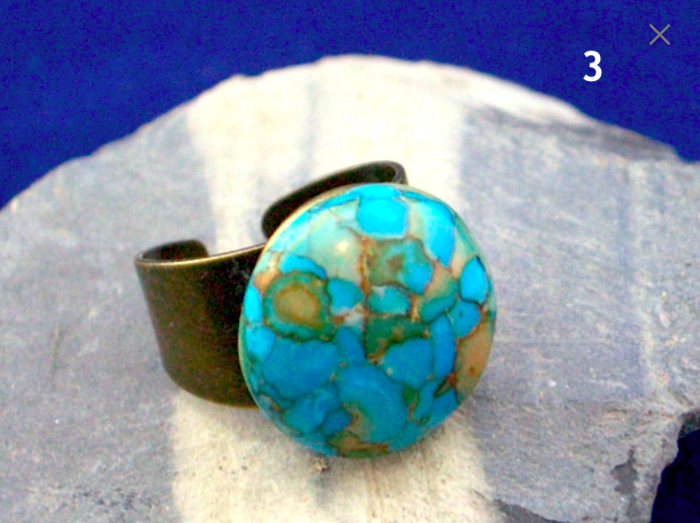 cool turquoise ring. 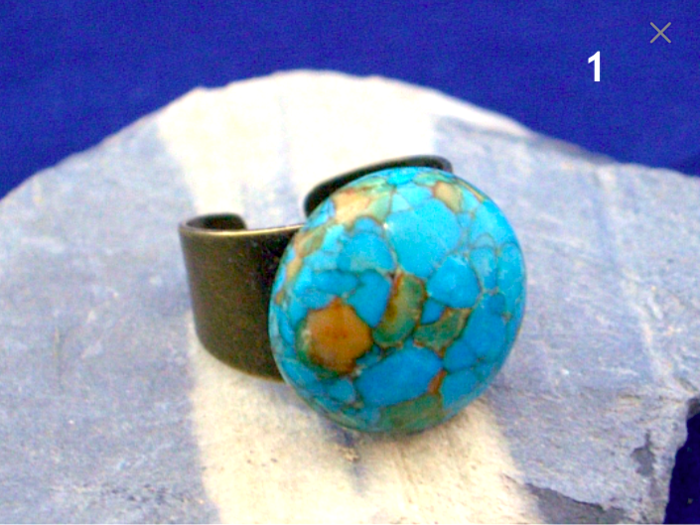 The back of the copper ring is opened and easy to adjust to a smaller or to a larger size. 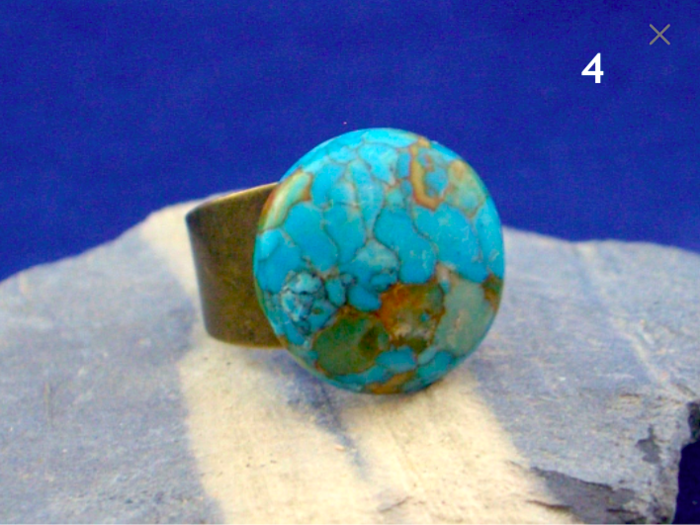 Reconstituted Turquoise: is the term used to describe the process by which pulverized turquoise scrap from stone cuttings are mixed with dyes and resin binders to produce recycled material large enough to use in other applications. Compressed Nugget is a similar product made from larger pieces.